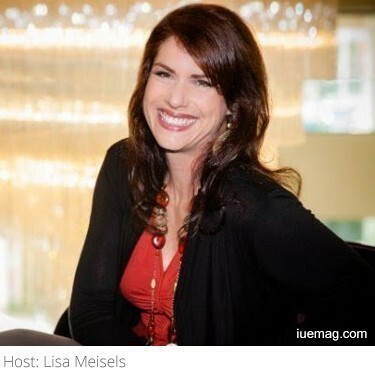 We bring you another incredible episode of the Empowered Living Show with my guest Jennifer Ruth Russell who is going to help you take back your money power so you can help more people with your gifts. Today, Jennifer is talking about Abundance for Lightworkers. She’ll share how to let go of old emotional and spiritual blocks and patterns of lack and limitation that hold you back from playing big in the world. She’ll talk about what it means to take back your sovereign power so that you can manifest your heart’s desire and what it means to take ownership of your ability to create the experience you want. Jennifer has been a spiritual mentor for over 15 years. She was trained at Agape International Spiritual Center under Michael Bernard Beckwith. 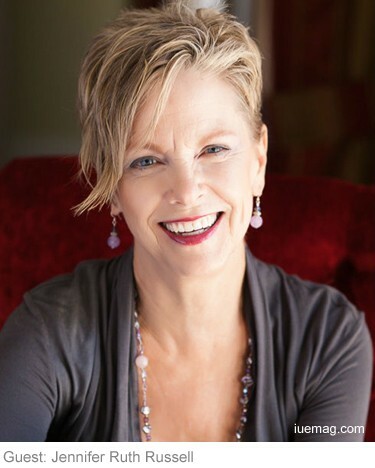 As the founder and director of the Soul Ascension Master’s Program, she has helped hundreds of clients and students heal their hearts and lives by connecting to the Divine. Jennifer is also an award-winning songwriter. Her life’s vision is to uplift, empower and transform the world with songs and prayers that open the heart. She has written, recorded and performed seven albums of powerful, uplifting music including her most recent releases “There’s Only Light” and “Lie Down in that Grass”. Jennifer has written and recorded over 75 children’s award-winning songs on the Virtues. Most recently she is the host of The Abundance for Lightworkers Summit - May 31 - June 3rd with speakers such as Patricia Coda-Robles, Lee Harris, Alicia Power, Pam Grout, Rev. Karen Russo, Michelle Walker, Diomira Rose D’Agostino, Angela Montano, Grant Virtue- Doreen Virtue’s son, and many more. You can find out more on the Abundance for Lightworkers website. Jennifer’s journey has been coming up through financial struggle. She was born into a family of missionaries and grew up in Ethiopia. She’s a survivor. Jennifer talks about having always chosen “the hard way”. She married young, has been through 2 divorces, bankruptcy, foreclosure and single parenting. Her core issue to heal was her thought that “I must be doing it wrong” or “what am I doing wrong”. Looking back, she sees her life as a perfect school giving her the lessons she needed to get where she is in life now. Taking one step at a time and being very gentle with herself has been her key to success. She knows many people go through similar challenges. And she wants you to know that all the financial struggle has been there for a reason- to bring you to this point so together we can bring it forward into the new world. She works with lightworkers who she defines as anyone who serves the light in any way and has a pure heart. The light unifies us so together we can bring up the New Earth. She explains that you can flow light and love into your money. With every dollar spent, you can infuse it with love knowing it will flow from one hand to another circulating through life giving new energy to everything it touches. She says you can become friends with money simply by saying “go forth and bring love wherever you go” to the money as you spend it. This will change the flow of money for you. No longer can you just work for money- it’s not working in this changing world anymore. There are a few main keys that have helped Jennifer and her students with the final push into money flow. The first key is finding out what your blueprint of wealth and abundance is. As a collective, we have been releasing emotional blocks and limitations. Now, it’s time for self-love. Jennifer says it’s important to find out why you came into this life by looking at your blueprint which she teaches in one of her courses and that the discovery process involves deep listening. She says you can re-write anything in your life because you are the creator of your experience. The second key Jennifer talks is that of release and the gift of forgiveness. In the The Way of Mastery, a download from Yesua as recent as the 90’s, he said “Forgiveness is necessary. Forgiveness is a skill and an art that will pay you dividend upon divided. It will never cease in paying you. Each moment, in which you choose forgiveness, you have literally saved yourself a thousand years of suffering! I mean that about as literally as one can mean it. In short, every act of forgiveness is a miracle that shortens the need for experience in this dimension.” She says it’s important to develop daily forgiveness practice. Each day, release and forgive. Let it go. End the day and be born again day after day. Forgiveness keeps your heart pure and clean which is the job of a lightworker. Once you release and surrender, the next key is to reclaim your true place in this world. Jennifer explains that we are all direct heirs to the Kingdom/Queendom of Plenty. Unworthiness is just a human condition. God, the Universe, Spirit or whatever word you might use for your higher power, never looks at us as unworthy but rather as precious children. Something Jennifer got very serious about was commanding her freedom around unworthiness. When she wants to deeply learn and embody an experience, she writes a song. The powerful song she wrote was called “I am worthy of my own love”. She reminds us that it’s up to you to reclaim your truth. No one is going to come and give you permission and tell you all the good is for you. She says there’s nothing to learn anymore, you’ve learned everything you need to know and now it’s time to stake your claim and take back your divine abundance. You are the only one that creates your own experience. If you’ve forgotten how to dream and live your authentic heart’s desire then it’s time to start letting your inner child out to play. Dream into what you want. You are made of light and it feels good to have fun, be lighthearted and play. Jennifer says that it’s time to command and draw forth. You can do this by stating a decree out loud every day at the same. An example of a decree could be stating three times “I command and draw forth my true wealth and abundance”. This helps you stand in your divine court. Not only are you speaking to yourself and all the cells in your being so they can come into alignment but you’re also putting the Universe on notice that this is what you want to do. You are living on a free will planet and are so respected that you must say “yes” and ask for yourself. Some people feel as if they are bothering the Universe to ask for themselves. Jennifer explains that it is the job of the universe to bring you out of the mire. And when you allow your team of support in the Universe to do their job, the interaction is so sweet and beautiful. You are not meant to do this life alone. Once you’ve released and reclaimed, it’s time to create. She explains that many of us are still living in a dream thinking we are all alone here. You are surrounded by Mighty Beings of Light that are just waiting to assist you. She encourages you to create from the place where you want to be and not from where you are now. You are a powerful co-creator. You have total access to create anything you want. Jennifer explains that the Muses and the Angels are just waiting for your intentions and attention. When you create, it empowers others to do the same. She wants you to take ownership of your creatorship because you are literally creating your own experience. When you realize you’re responsible for everything you’ve created in your life, even though it may look like a mess, know you have the power to create something different. Jennifer encourages you to rename your past. She calls her past her “freedom journey”. The first step in creation is making a choice because making a decision is the first step in manifestation. Jennifer has interviewed some leading edge spiritual leaders in abundance and she’s excited to share it with you. Instead of feeling shame and guilt, this summit will allow you to see there is a new way. If you have been tired and exhausted lately, you’re not alone. People are feeling their bodies change to receive more and more light. As you get lighter you rise up to the frequency of abundance. Give your heart love no matter what. Once you start talking to the parts of you that are causing obstacles in your life, they melt. They don’t have to seek your attention. Any facts, figures or references stated here are made by the author & don't reflect the endorsement of iU at all times unless otherwise drafted by official staff at iU. This article was first published here on 1st June 2017.